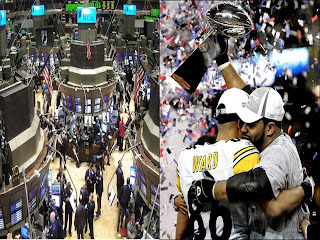 Kneale Mann | Leadership: Gridiron and Wall St. I wake up most Sunday mornings hoping to turn off the world and sink into potato mode on the couch to watch several NFL games. My friends who don’t care for football wonder how anyone can just sit and watch a game where grown men don armor and smash into each other while chasing an oval-shaped sphere. The average NFL stadium holds 70,000 people, it’s only used eight times a year, and the average game features the ball-in-play for about 15 minutes. The cost of an NFL franchise is close to $1 Billion. There are travel and staffing costs, player and television contracts, coaching and scouting networks, merchandising rights and if you’re lucky – once or maybe twice in your history, you will win a Super Bowl. But why are 32 teams fighting for the silver ring every year? Because the work involved in getting there is worth every ounce of sweat and toil. Because there are enough rich people on the planet who think it’s cool to own an NFL team. Because football fans would watch two low-end teams battle any day of the week. It’s not about winning; it’s about the chance to win. It’s not about championships; it’s about the possibility of championships. Why do you get up every work day and try again? Do you have competition within your business category? Are there others offering similar services to you? Are there companies that are doing some things better than yours? Why not give up? Why do you keep fighting and trying to improve? Why do you keep reaching for that championship? So excuse me while I couch it for a while and get inspiration from the gridiron. I just happen to like the dress code better than the one on Wall St.